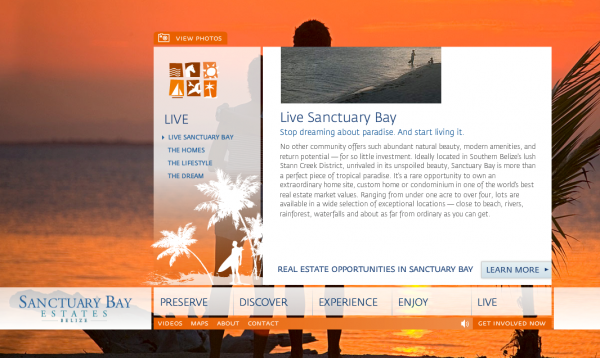 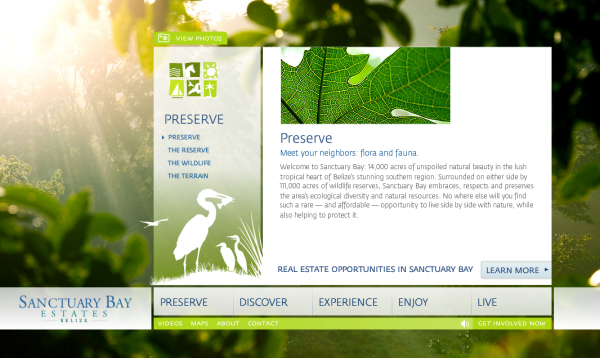 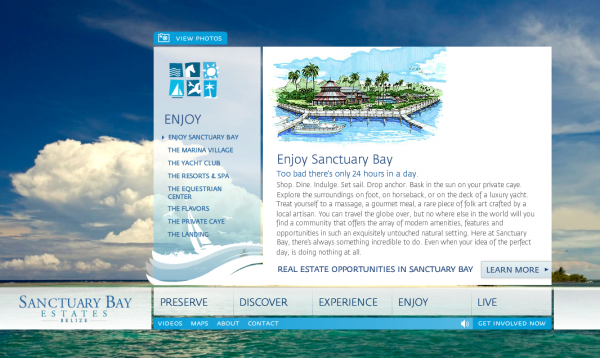 Working with interactive agency Zther, I developed the site structure and copy for this website designed to drive interest in a high-end real estate development in Sanctuary Bay, Belize. 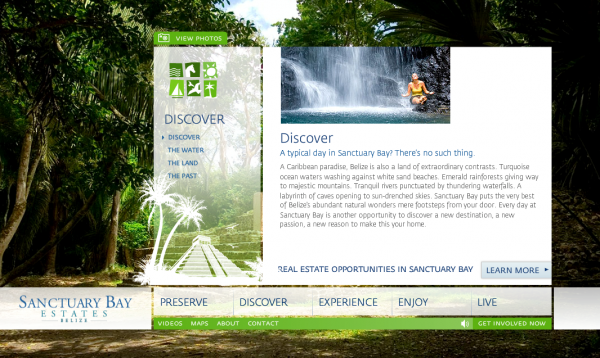 Through an intriguing blend of video images and copy, the site was tasked with promoting not only the home sites located on the fringes of a nature preserve, but also the environment, culture and extraordinary setting of Belize as well as the advantages of purchasing property there. 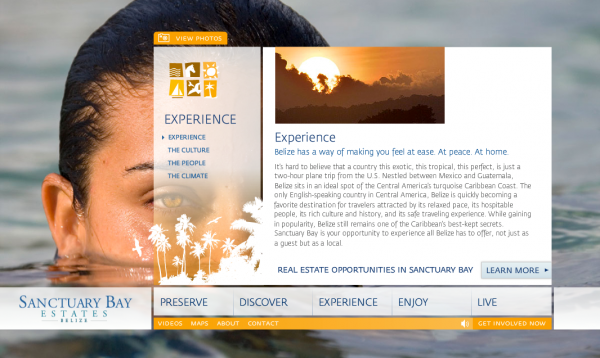 The site was an official honoree for the 2009 WEBBY awards.